Auto Body Repairs Yellowknife | Home | Superior Auto Body Ltd. When you’ve been in an accident, the last thing that you want to do is worry about auto repairs. 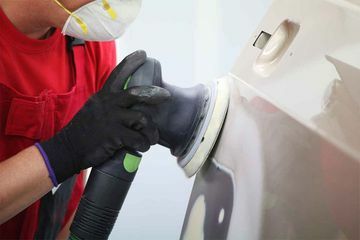 At Superior Auto Body Ltd., we make the process of auto body and collision repair simple. Our team of knowledgeable technicians can provide everything from frame straightening to auto glass replacement, and any service that we provide will be handled quickly and for a competitive price. As an added convenience, we can work directly with your insurance company, making it easier to get your repairs completed in a timely manner. For drivers looking to touch up faded paint or scratches, we offer painting services using environmentally friendly PPG Envirobase products. PPG ENVIROBASE® High Performance system is the leading premium waterborne paint system in North America. 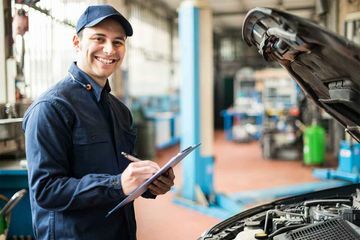 Superior Auto Body Ltd. offers free estimates on our services, shuttle rides when dropping off your vehicle for the repairs and we also have a courtesy car that we can schedule when repairs may interfere with your schedule.